Today over 40 million adults and children worldwide are infected with HIV, however knowledge of the disease has increased greatly and the prognosis is now good for those with access to anti-retroviral treatment. For many, HIV is now a long-term chronic condition and with decreased mortality, patient requirements and disease patterns have changed, making it increasingly apparent to health care professionals that the treatment of HIV should include optimum nutrition and healthy lifestyle interventions to help sufferers lead long and healthy lives. 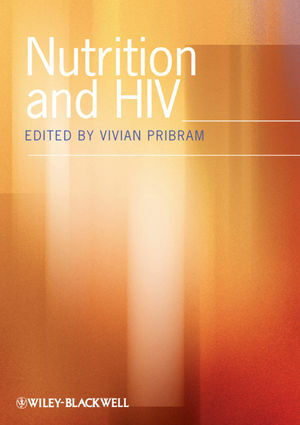 In this essential new book an international team of authors under the editorship of Specialist HIV Dietitian Vivian Pribram bring together the latest research to provide the practicing dietitian and nutritionist with a practical guide to the nutritional care of the HIV and AIDS patient. Students and other health care professionals working and studying this area will also find Nutrition and HIV an important and valuable resource.